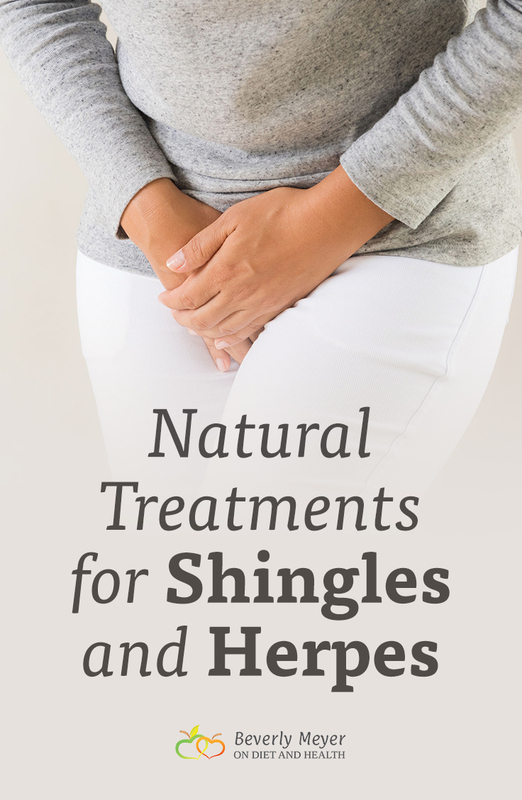 Natural treatments for shingles and herpes relief is a topic I know from personal experience. These ideas will help you heal faster and reduce re-occurrences. None conflict with medications if you still feel you need them. I have never used antiviral medications, focusing on the causes of my susceptibility, and alternative therapies that reduce herpes outbreaks. Monolaurin, Lysine, and Systemic Formula’s VIVI have been big helpers for me. More on these below. Is Shingles the same as Herpes? Both are viruses in the larger “retrovirus” family with Chicken Pox, Epstein Barr, HIV, Hepatitis C and others, but are specifically part of the Human Herpes Virus family (HHV). Herpes Simplex can be spread from contact with blisters but “asymptomatic shedding” can also cause infections even without active lesions. Many people are carriers but never have an outbreak. Chickenpox (Herpes Zoster) can be spread by contact with pox blisters or by breathing in the virus after an infected person coughs or sneezes. Shingles can be spread from someone with Shingles, but the newly infected person would break out with Chickenpox, not Shingles, and only if they never had Chickenpox. Shingles can occur anytime after having Chickenpox. The virus can cause severe pain during infection and recurring long-term issues. Does Stress Cause Herpes or Shingles? Following contact with the virus, your immune system may fight it off and keep it from recurring. Success against your first infection is in large part governed by the health of your body and immune system at the time. 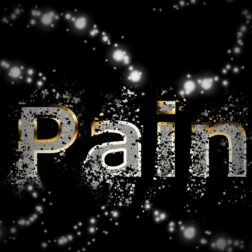 “Stress” includes persistent or short-term anxiety, anger, menstrual cycles (more on that in a moment), exposure to heat or cold, physical traumas or injuries, poor sleep and chronic fatigue, steroids and other immune suppressing drugs, health challenges such as the flu or chronic illness, death of a loved one, and nutrient status. In short, the food and stressors of modern life can ALL cause a Herpes or Shingles flare. Stress causes an elevation in the adrenal hormone Cortisol which then acts as an immune suppressant. We evolved successfully by perceiving “stressors” in our environment as life-threatening. Shortage of food, exposure to cold, attack by a predator all raise cortisol so we can run or fight. In modern times, everything around us is a potential thereat to a sensitive or exhausted nervous system – cell phone alarms, freeway driving, TV news, bad food, insomnia, and worries over money or our health. 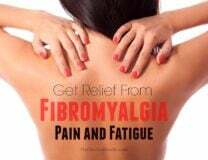 If the adrenals are fatigued, we’re less able to handle stress and are more prone to recurring infections. This high-grade blend of Adaptogen herbs is designed specifically to help the body handle stress better. This Systemic Formulas Ga-Adrenal is a key to restoring tired adrenals. I recommend them both highly. Shingles and herpes are brought on by an excess of the amino acid Arginine. If you have herpes or shingles, avoid nuts, seeds, chocolate and coconut (coconut oil is OK). If you have one outbreak and never have another it’s ok to eat these foods when you’re not under stress. But avoid them if stressed out, sick, or fatigued. Another food relatively high in Arginine is gelatin. Gelatin can be troublesome for recurring herpes outbreaks. A new kind of gelatin made from fish by Vital Proteins has less Arginine and should be ok. I’m happy to see this new product and have started taking it myself. Remember: avoid nuts, seeds, grains, chocolate, coconut and gelatin. Coconut oil and nut oils are OK as they have no amino acids or proteins. Read more about avoiding these foods here. The tiny bit of gelatin in a vitamin capsule is not an issue. Lysine is the amino acid opposite to Arginine. It is an Essential Amino Acid, meaning we cannot make it and must get it in food (or by supplements). When under stress, take Lysine AWAY FROM FOOD once or twice daily. One 500 mg. cap once or twice daily works for me if I feel herpes prodromal symptoms of tingling, itching, or burning. You can take several grams a day when needed but reduce when you can so you don’t create other imbalances. Here’s the Lysine in my online store. Lysine is an important bone nutrient so it won’t hurt to take it several times a week. It is found primarily in animal protein so vegetarians and those eating a grain-based diet (like most Americans) will tend to be deficient. Don’t take it every day though (unless fighting an outbreak) – we have a delicate balance of amino acids. Stress depresses your immune system. Handle the top stressors in your life and take liberal amounts of our favorite Passion Flower Glycerite to help keep mentally and physically balanced. We sell a ton of this product as it is so useful for anxiety, sleep and keeping calm no matter what the day brings. Olive Leaf, Monolaurin (Lauric Acid concentrate from Coconut Oil), Reishi and Systemic Formulas VIVI are excellent natural treatments for shingles and herpes infections. VIVI contains therapeutic levels of Lomatium (Leptotoenia) and Pau D’Arco. 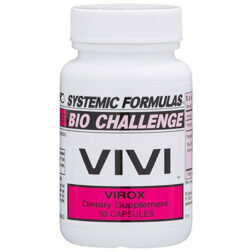 VIVI works on Epstein Barr, the flu and other viruses as well. Keep it on hand to take when needed to help kill viruses, then discontinue when you don’t need it. Here’s a Lysine + VIVI combo in my online store. Vitamin D is a truly essential nutrient and commonly deficient. We evolved to be in sunshine and require significant levels of Vitamin D for our immune system. However… never ever take D without K2 to avoid risk of calcium in the arteries, gallstones, and kidney disease. I have 2 popular combo brands in my online store: this one and this one. Here’s links to an article and a podcast on K2, the most important nutrient you never heard of! Take D and K2 daily for life and boost it when sick. Herpes and shingles attack cell membranes to enter and infect RNA. Keeping those membranes flexible help it repel viral invaders. Cod Liver Oil (or gel caps), fish/flax/borage oil and Emu Oil will help. Calcium plays a role too, but never take calcium without K2. Women are more susceptible to herpes outbreaks around the time of menstrual cycles. It has been shown that chronically low progesterone and elevated estrogen affect the immune system although it’s not known exactly why estrogen dominance tends to be linked with herpes. If you tend to have outbreaks at the same time of the month, or they have gotten worse since menopause, do a saliva test and check your cortisol and male and female hormones. Blood tests are not accurate even though many doctors continue to run them. Here’s a short article on saliva testing for hormones. Do your test on Day 21 of your cycle when Progesterone is supposed to be much higher than estrogen. The tendency to estrogen dominance can start in teenagers, and increase all through life. It’s true for men too. Getting estrogen under control might change your life. Systemic Formulas Fpms may be helpful. I’ve never taken them and don’t feel qualified to comment except for two things… If you currently have a severe, new Shingles outbreak, do all the above and also consider medication. Get it under control as fast as you can – every day counts. If you follow all my steps above and don’t stop recurring Shingles or Herpes, consider medications but they do have side effects so study up! I don’t recommend vaccines in general, and there is evidence that the chickenpox vaccine in childhood may have contributed to the current increase in shingles. The shingles vaccine is basically the same chickenpox vaccine but 14 times stronger. Dr. Kaayla Daniel has some good info on the vaccine’s effectiveness (or lack thereof) here. I use ozonated olive oil or coconut oil topically for burns, sores, scrapes and as the world’s best deodorant. Keep ozonated coconut oil refrigerated and tightly capped. Works great for symptomatic relief. You can also get Ozone by IV therapy if you have a local clinic doing that. This has helped me get through Epstein Barr as well as Herpes/Shingles. Topical Emu Oil can be very helpful. Here’s a whole article on Walkabout Emu oil topically for skin and for vaginal health, inflammation, infection and pain. No question about it – removing gluten and dairy (except ghee) from your diet will improve the life of every cell in your body. I believe (and tests have shown) that we ALL make antibodies to gluten in varying degrees, and dairy too. These constant antibody wars exhaust the immune system. Check out my page on Food First as the best way to help most any health condition. Watch my DVD/video on the Paleo Diet to learn what to eat and why, without reading the books. Enjoy!